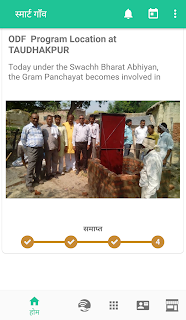 Two IT professionals, with a dream to transform the lives of thousands in rural India, have developed an app called ‘SmartGaon’, that not only connects an entire village population internally and with the developed world, but also serves as a knowledge and information centre, a marketplace, a helpline and a holistic development tool to make their ‘gaon’ a ‘SmartGaon’. Taudhakpur (Mirzapur Urf Taudhakpur), which has been a remote village with limited amenities in Raebareli, Uttar Pradesh is now growing at the speed of light! Within a span of 48 hours, the village has built 242 toilets, cracking the highest track record in the state of UP. From setting up CCTV cameras at various junctions, setting up Public Address Systems, Dustbins and Street lights at various junctions, this village is getting Smarter by the day. Apart from basic facilities and infrastructure the villagers have been able to set up Adarsh Primary Schools, conduct regular health checkup events in Primary School for students and Community health centers. Not only that the village has a Wifi Zone in addition to 18-20 hours power Supply. 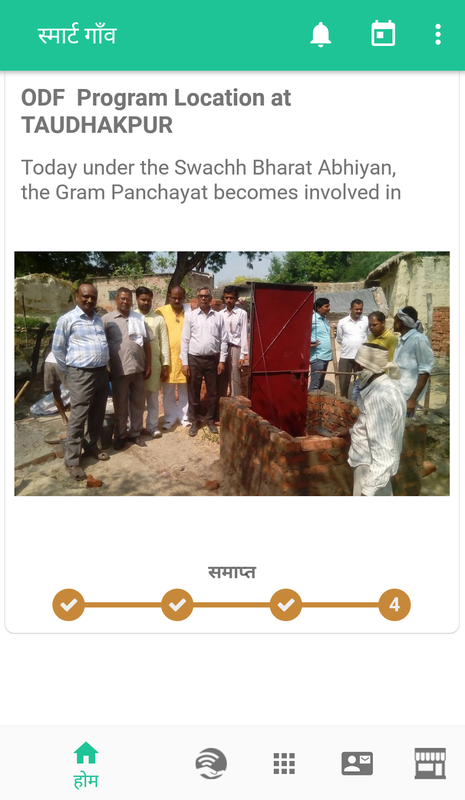 All of the development has been achievable owing to a vision, which transcended into a Mobile App called SmartGaon, wherein all initiatives undertaken are updated, recorded, tracked and monitored, ensuring the free flow of information and bringing about community wellbeing. Although rural India faces a plethora of challenges, right from the regulation of electricity and water supply to farming and transportation of the product to the markets to bringing in a reform through education and development, technology coupled with a vision can bring in a sea change to the rural landscape of the country. Yogesh Sahu, a young entrepreneur from Mumbai, delivering IT solutions to small & medium businesses, along with his friend Rajnish Bajpai, who is a Software professional working abroad, together envisaged creating a transformation in rural India, knowing that Mobile Technology & IoT (Internet of Things) are the future of growth and development. Mobile internet penetration, has taken the country by a storm! With around 420 million mobile internet users, the rural areas are witnessing a growth of 26% per annum. Developing mobile apps for start-ups and SMEs, Yogesh evaluated the power that the mobile phone possesses in our country with 68.9% of rural population. 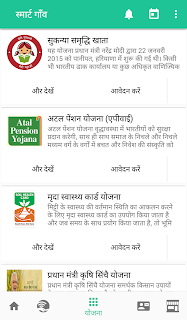 The Mobile app has key features like the villagers’ directory, news and events calendar, health center, information center, etc. in English as well as Hindi. It is aimed at reconstructing Indian villages for people to lead a vital life in them, as in the cities. 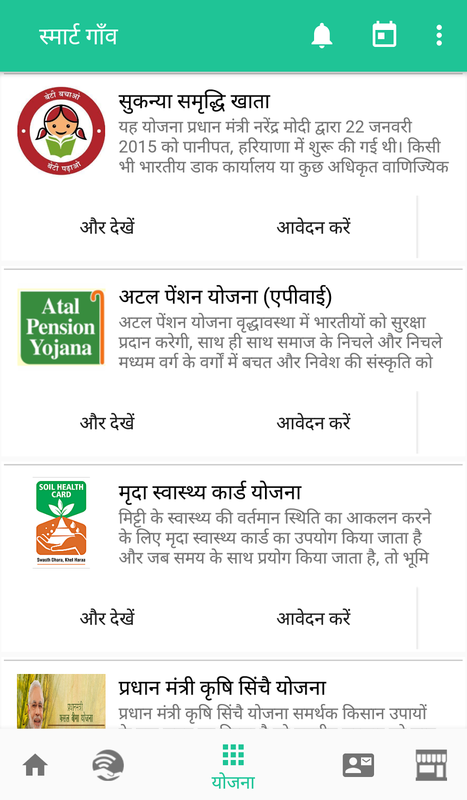 SMART stands for S- social security schemes M- modern urban amenities A- adoption of smart agriculture practices R- roads infrastructure & transportation T- tech savvy for the all-round development of rural India, whereas ‘gaon’ means village in Hindi. The main trigger point of this initiative was Prime Minister Modiji’s speech at San Jose SAP center where he said, "Sometimes in my country, we used to hear people say that something has to be done to stop this ‘brain drain’- this needs to stop. The land of India produces a lot of gems. We have continued to produce brain after brain, a growth of brains. This ‘brain drain’ can also become a ‘brain gain’. Therefore, I have a different way of looking at this. What people see as a brain drain, I see as a ‘brain deposit’. And this brain that we have put on deposit is looking for opportunities, and the day it finds an opportunity, this brain is going to be used for the benefit of Mother India with interest." “With the successful laying of our first brick, we further wish to transform 10 more villages in the next 2 years. We already have 1 village where activities have been initiated. The next step is to spread awareness amongst urban citizens, NRIs and corporates to come forward and support this cause. Together, we can build a better India!”, says Yogesh Sahu.